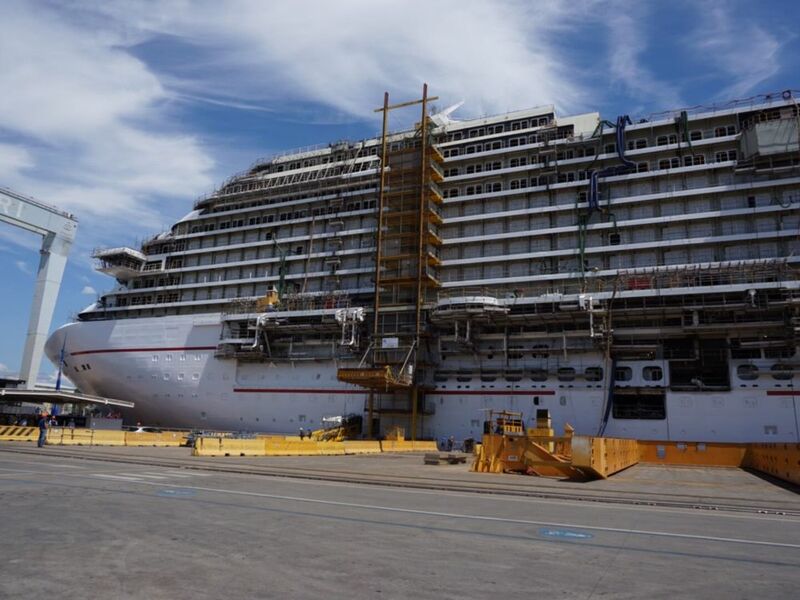 Carnival Vista has reached the next construction milestone with the traditional coin ceremony signifying the exterior of the hull is now complete. The maritime tradition of welding a commemorative coin to the ship’s mast, otherwise known as ‘mast stepping’, dates back to ancient Roman times when it was believed that these would bring good luck to the vessel. 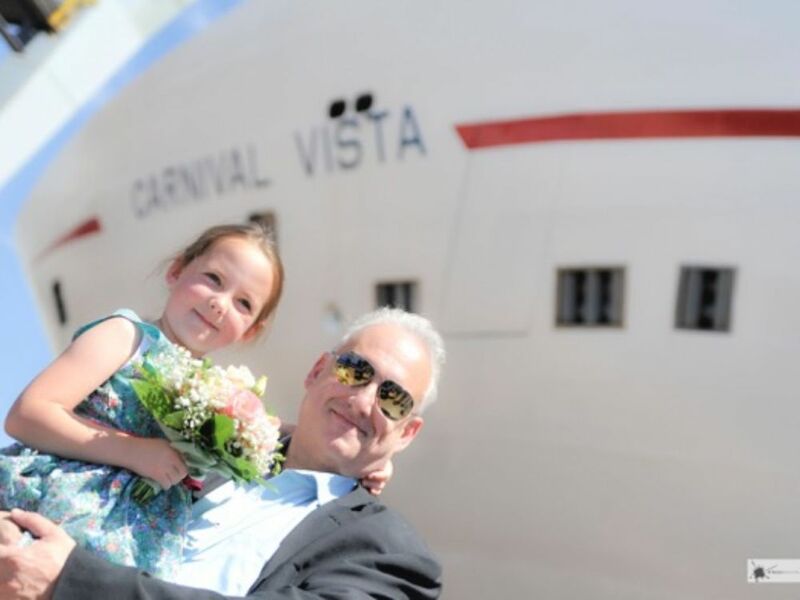 In an unusual twist, Kye Heald, daughter of Carnival’s long-serving Senior Cruise Director John Heald, was named as the ship’s ‘godchild’. 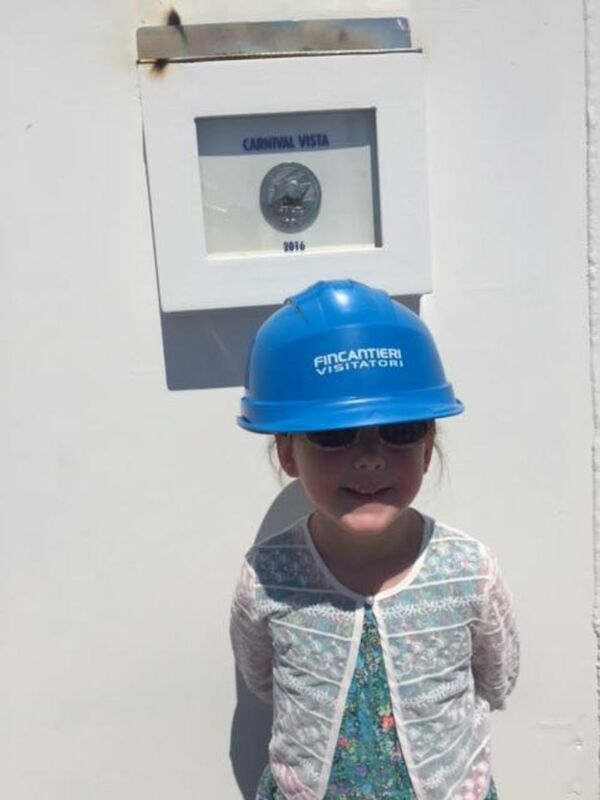 At six years of age she helped trigger the bottle that was smashed against the hull and also helped weld the coin box to the ship. A video from the event can be viewed here on Facebook. 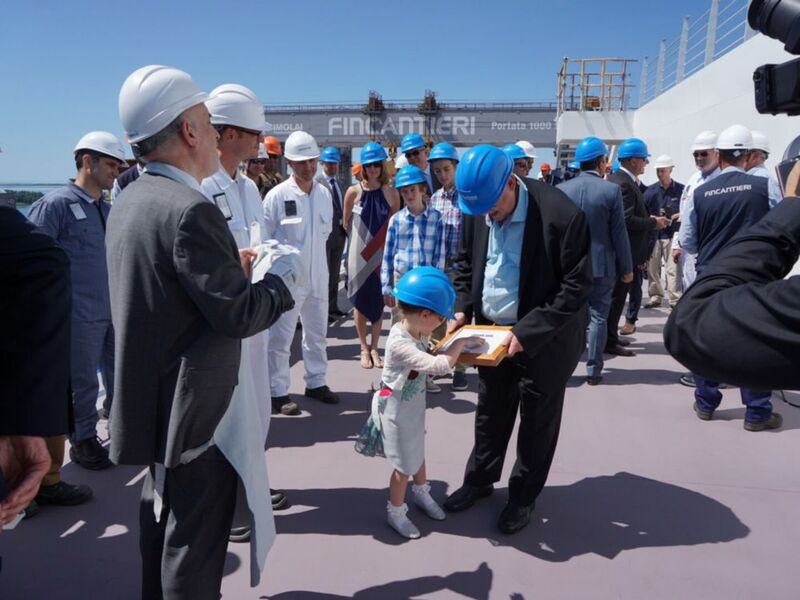 The ceremony marked the completion of the exterior work to the vessel’s hull in the dry-dock at the Fincantieri shipyard in Monfalcone, Italy. 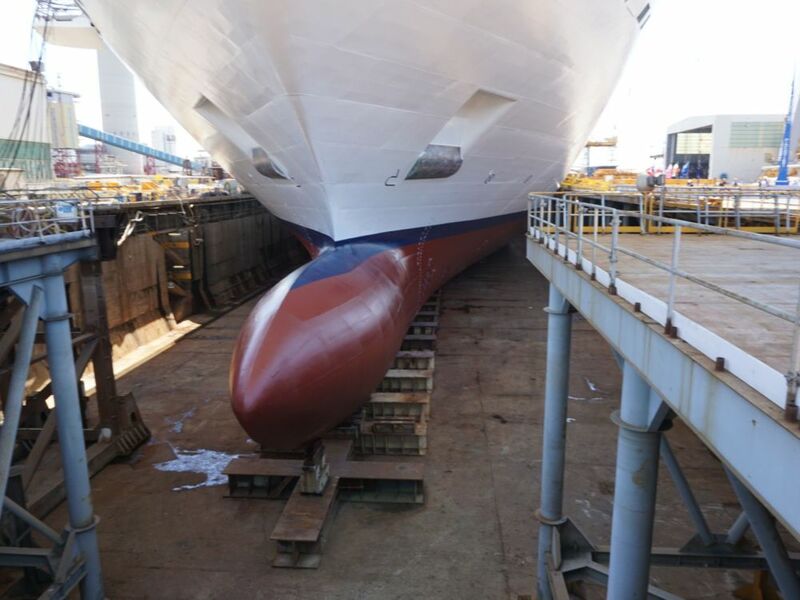 The 133,500 gross ton Carnival Vista is the largest ship Carnival Cruise Lines has ever ordered. 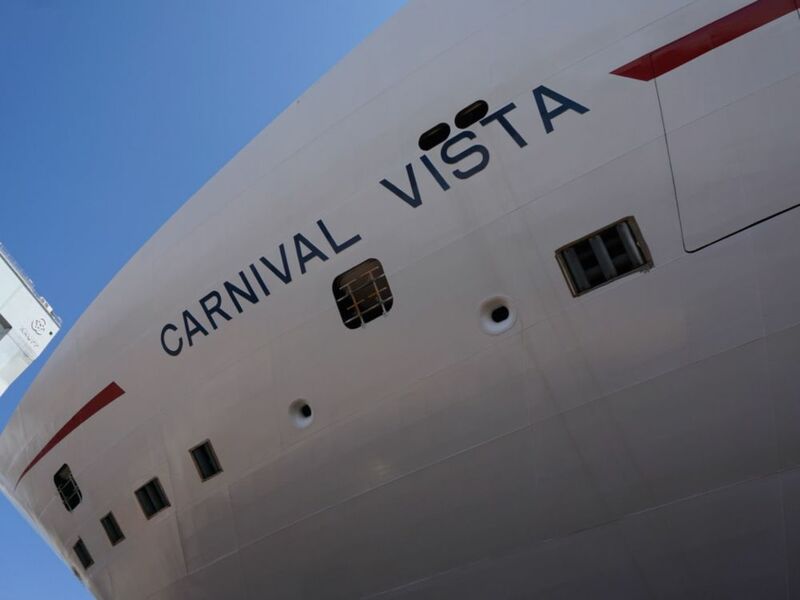 Carnival Vista is due to enter service on 1 May 2016 where she will sail on Mediterranean voyages sailing from Barcelona, Spain and Athens, Greece. On 21 October 2016 she will sail on a repositional transatlantic voyage from Barcelona to New York where she will offer a limited number of sailings. From here she will reposition to her new home-port of Miami and will operate year-round Caribbean sailings. Earlier this month a behind-the-scenes video series was released by Carnival. You can watch the short episodes here.